Delicieux is the shade of French vanilla ice cream. 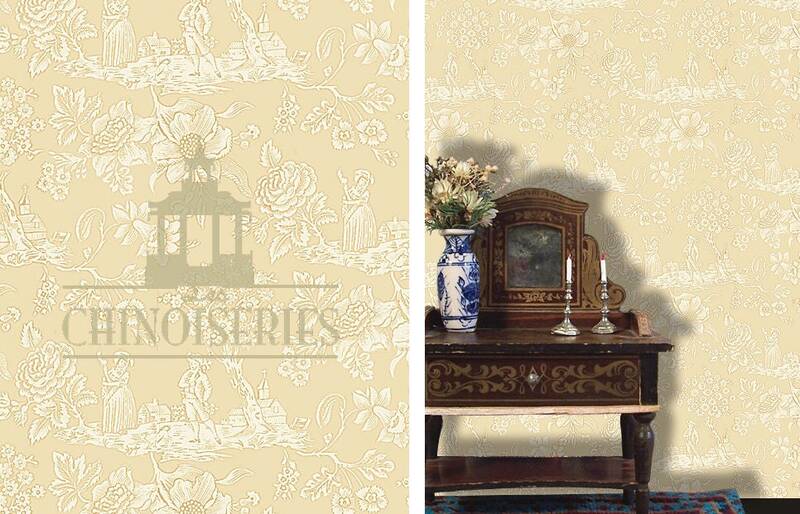 It’s subtle Tone on Tone pattern is romantic and soothing. . . Classic toile with a twist. Do you like tutorials? Check out Http://www.MiniatureRoseGarden.blogspot.com for a link to my Pinterest board, Dollhouse DIY Tutorials. Updated daily. Enjoy!